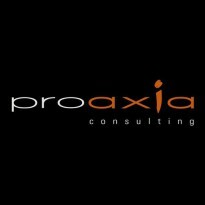 proaxia consulting provides open platform consulting services including development service on cutting edge technology and environment, and system design and development using .NET, JAVA, and other languages. Cloud Storage Light is a cloud-based storage application. Management access rights needed to use in the enterprise, full-text search function, history function, of course, have no useful function to the other cloud storage are available. Cloud Storage Light offers a variety of useful functions. Set of access rights of the user authentication and folder unit is an essential feature when using the cloud storage in the enterprise. In addition, full-text search and the ability to automatically assign a password to a file, the function of the check-out of the file is also useful feature. In addition to edit the move or file folder unit and use the explorer tool that can be used on a Windows PC can be seamlessly easy. File on the file server (FTP) and SharePoint in addition to Azure Blob, OneDrive, Google Drive, you can show to one of the storage by integrating DropBox. Corresponding storage will continue to increase in the future. With this feature, you can publish in-house file server file to the cloud without saving the in-house file server to storage in the cloud. Such as there is a benefit, by any chance, even if the outflow files can be protected with a password. SAP Business One is designed exclusively to meet the needs of small and midsize businesses and for subsidiaries of large enterprises. SAP Business One is an integrated, affordable business management application. Is there a fear that the house of the user information using a cloud storage for the general user-replaceable? Do not you feel the need for soon their cloud storage? Cloud Storage Light is a cloud storage using Microsoft Azure, to the low cost and high reliability of storage provides a convenient function for the enterprise. First demo site please check the function. Cloud Storage Light is 1GB per 2.45 yen - is a low-cost cloud storage services using Azure Storage (storage service) called. Occupancy is also unlimited, additional cost is used many people, and you do not need. For Cloud Storage Light is you are using Azure Storage, you can simply use the high reliability of the Azure Storage. Stored in Azure Storage data is copied to three separate storage is. Cloud Storage Light upload of files, including the download, full-text search function, authentication, authorization control, such as a mail reception function provides the necessary features for the enterprise have been. To take advantage of these features to accommodate a variety of usage scenarios. In addition, collaboration with Skype and Lync, also offers push-type information notification function. Core Systems Japan, Inc., headquartered in Switzerland coresystems ag, Inc. and proaxia consulting gourp ag, Inc. is a strategic partner of. Increased to about 150,000 users received available to many users in the version-up pile, this year from the previous fiscal year third place was ranked up to the second place. Get More Information in proaxia consulting provides open platform consulting services including development service on cutting edge technology and environment, and system design and development using .NET, JAVA, and other languages. - Core Systems Japan Co., Ltd.
Be One Solutions, is a global SAP partner, based in Switzerland with subsidiaries in Germany, France, Japan, Hong-Kong, China, Brazil, the United States and Sweden. Global companies to expand their business abroad, to integrate the different line-of-business system at the headquarters and group companies, in order to cross-visualization of each site, need to build an integrated analysis environment for real-time management decisions have been forced to, it will not have the problems as follows. "Global Operation DMP" is, as a revolutionary integrated analysis platform with a consolidated engine for management accounting, to solve the above problems, the global supply and demand and sales management, the pre-performance management, and cost and profitability analysis was promptly implemented, it will help to optimize the business plan and investment plan of the company. Integrated connection engine and data warehouse systems, data acquisition from the different line-of-business systems, data cleansing, perform data conversion and integration, multi-angle and in general to the detailed data level, a common tool such as Excel to achieve a mechanism to perform multi-dimensional analysis using. To manage metadata of the data source, enabling monitoring of the source changes. To provide a mechanism to flexibly change to a different base of the code system includes a data cleansing and global integration code. (buying and selling) are displayed have been eliminated. To calculate the consolidated cost was simply deducted the internal transactions for the consolidated cost consolidated income grasp. SG & A expenses allocated. The selling, general and administrative expenses for each of the sites and business understanding of the operating income can be allocated to another by business unit and region according to the specified rules. It will increase from 2nd year depend on the skill. Our aim is to increase the value added of our customers. To this effect, we combine our industry and business process knowledge with our know-how about in-house standard applications and individual development as well as about Cloud & Mobile solutions. Project Management is a SAP certified add-on which brings project planning and controlling capabilities to SAP Business One. It suits both the Professional Services industry and the ECO (Engineering, Construction & Operations) Industry. Our experience has taught us that managers, controllers or project managers need immediate access to updated information in order to make decisions at the right time on a solid data basis. Project Management proposes a unique platform fully integrated to your ERP. Full integration of Project-related documents – Project Management will allow you to track any Sales, Purchase and Overhead activity. Time and Expense tracking – your Employees can record their time and expenses through the Project Management’s web an mobile clients, as well as through TimeTouch (shop-floor time system). Cross-Databases capabilities – you can monitor your project in a consolidated view even if several of your SAP Business One entities are involved. Available in 11 languages, including Danish, English, French, German, Portuguese, Spanish, etc. SAP Certified SAP Business One for versions 2007A and 8.8. SAP Business One SDK enables partners and customers to extend and change the functionality of SAP Business One to create industry-specific functionalities, develop missing functionalities, and create interfaces with third party tools. SAP Business One Software Development Kit (SDK) provides a comprehensive set of tools for professional software developers. The SDK maximizes your IT investment by allowing you to tailor SAP Business One to your particular needs, streamline and automate many processes, and integrate external applications. Built upon a standards-based platform that is compatible with Microsoft .NET, Microsoft Component Object Model (COM), and Java technologies, the SDK lets you leverage your development team’s existing skills and quickly build solutions that bring tangible value to your organization. SDK enables software developers to add new functionality to SAP Business One, interface with external applications, make minor functional modifications, or simply change the look and feel of SAP Business One. It includes application programming interfaces (APIs), sample code, documentation, and development tools for SAP Business One. In keeping with the “simple yet powerful” theme of SAP Business One, the SDK is designed to be easy to learn and use, while providing a level of flexibility unmatched by any other business management application in its class. Simplicity at work. - with the Boyum Pack from Boyum IT Get more value with your SAP Business One application! The company that introduced the B1 Usability Package that has SAP-certified integration, also brings you the Boyum Pack; a package of stable, powerful modules, that work independently to bring flexibility, usability and productivity to SAP Business One users. Get more value with your SAP Business One application! The company that introduced the B1 Usability Package that has SAP-certified integration, also brings you the Boyum Pack; a package of stable, powerful modules, that work independently to bring flexibility, usability and productivity to SAP Business One users. The Boyum Pack is an extension of the B1 Usability Package. It combines Boyum's functionality and stability, and also enables partners to introduce their own functionality and create a single, universal add-on that can fulfill the needs of partner's entire customer base. The Boyum Pack utilizes Crystal Reports across all documents, to allow unprecedented control and visibility; the ability to tailor documents and reporting to the specific requirements of each and every customer. With Coresuite Country Package you can optimally supplement financial evaluations and change the presentation of marketing documents to meet your requirements. Searching for data in SAP B will be as easy as searching Google and you can customize your SAP environment aligned to your in-house processes without any high additional programing costs. Extended printing and layout management! Coresystem’s coresuite country package includes standard documents that range from quotations, order confirmations, delivery notes and invoice layouts to reports for CRM, sales, purchasing, service, warehouse or production departments, and much more. With thecoresuite country package all you need to do is is to manage and update one single layout for all marketing documents. Thanks to this master layout system, changes can be made within a few minutes and print jobs can be created according to the type of document to be printed. Your ERP, customized to your needs! The coresuite country package is the perfect tool for customizing a new or an existing SAP Business One environment. Do you want to colour, hide or block fields, define mandatory fields, create new tabs or add choose from a list? No problem – in just a few clicks, the function can be in your system and will be in operation. Thanks to the simple import and export support, you have access to all existing customize rules. Furthermore you can tailor the existing rules to your own personalized requirements or can also create new rules with the help of an assistant. Your accounting at a glance! Finally, you can access account statements, charts of accounts, budget reports, cash flow calculations or even just your balance in a matter of seconds. Our dashboards provide you with quick information on your business. The accounting function provides you with a clearer presentation of data and data grouping, improved drill-down functionality and concrete evaluations at the level of a profit centre, distribution rule or project. Furthermore, classifications have been introduced to give you reliable financial indicators at the push of a button. Cloud storage of Microsoft Azure Blob for Cloud Storage Light was released as open source. Open range is a Web application libraries and sample of core. You can easily impart a function of cloud storage to their own Web application and use the library. Microsoft Azure Blob will be able to easily provide admission control and full-text search of the mechanism of a user or role record levels that do not have the original. If, if you think the cooperation of cloud storage with business applications, Cloud Storage Light please consider the use of. Pepperi is the mobile sales suite for brands and wholesalers, increasing sales by 20% or more, cutting order processing costs by as much as 30%, and delivering a memorable buying experience for B2B customers. Pepperi supports omni-channel B2B sales with fully customizable apps for: catalog presentation, order taking, merchandising, and B2B e-commerce. The Pepperi SaaS platform is enterprise grade, delivering its mobile-agnostic sales apps via native iOS, Android, Windows 8, and web clients. Over 1,000 businesses in 50 countries use Pepperi to transact more than $1B every quarter. Pepperi is a SAP Certified, cloud-based solution for SAP ECC 6.0 and SAP Business One. The cross-mobile solution boosts sales by extending SAP to field sales and B2B customers. Pepperi’s solution seamlessly integrates with SAP to extract real-time data about products, pricing, inventory and customers, and send updates to SAP with sales orders from your sales force and B2B customers. proaxia consulting provides open platform consulting services including development service on cutting edge technology and environment, and system design and development using .NET, JAVA, and other languages. Working with our SAP consultants, we also approach systems that have functions to support core system and support our customers at higher dimentions. We Make Your Company MOBILE Without Any Expensive Investment In Software And Hardware. Check it here! Midsized manufacturing businesses are in need of high productivity and profitability. Thus in addition reliable planning, efficient order processing and all-embracing transparency are important in order to know with which products, which order and which customers real money is earned. For this and further requirements SAP Business One offers all useful information and decision making possibilities. And be.as supplements modularly what you need for your manufacturing management and cost accounting / controlling – it fits together. Core Systems Japan Co., Ltd. is a global company that provides ERP data-enabled services using the mobile. Integration of SAP and its system in the non-programming. And you can build cloud mobile enabled applications. There is no waste in the application in which it was full advantage of the existing resources, called composite applications. You develop quickly and low cost in RAD development using LightSwitch of Microsoft's offer, it called the Web of Accesss. SAP and the existing system is a solution that works in the as if one of the system so SharePoint. The existing resource system is inexpensive and rapid development in order to take full advantage of it is expected. Of course, the application created since the cloud mobile correspondence becomes widely available. Using the LightSwitch of applications that you want to edit and add the inventory information in the product information managed by SAP demo site is. This demo " How to build a cloud business app with SAP data has been created based on the technical information". The nearly can create such applications in the non-code is the feature of this solution. In solutions facing the casual development, such as little additional functions, but want to add a little only function in the SAP system, please consider once more the cost of add-on development had to give up because of the high. For inquiries about this solution it is thank you to the following people. No two ERP implementations are exactly alike. You will likely need to have customizations, interfaces and additional improvements/enhancements on top of SAP Business One’s standard functionality. Our in-house developers allow be one solution to provide our customers with this support. 100% of the SAP Business One installations do require some customization, and SAP Business One provides a robust tool set for these customizations that provides an extensive integration map and ensures the ability to continually update the product when the tools are used properly.